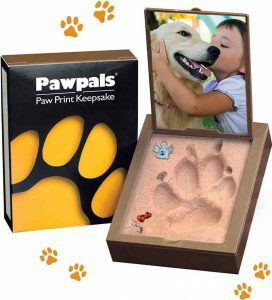 Pawpals® is unlike traditional clay imprints because it is one-step, instant, and easy to use. There is no kneading, mixing, baking or drying. Just lift the case frame, press the paw into the unique mold material and you've made a lasting memory! Each kit includes an impression pad and a place for a pet photo. Veterinarians enjoy the simplicity of Pawpals® and that clients leave their hospital with a lasting memory in hand. 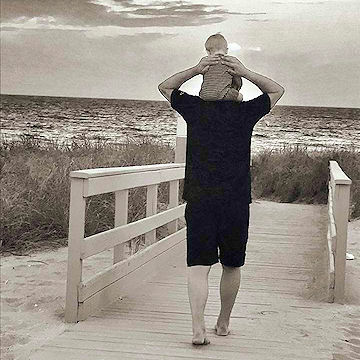 For pet owners facing the unfortunate loss of a pet, Pawpals® has proven to help reduce the anxiety and assist with closure. Take a Paw Print Impression in One Step! With traditional clay paw print kits you must knead the clay, roll the clay into a ball, flatten the clay into a patty, make the impression, and bake. That's why busy vets like to use Pawpals®. There is no kneading, mixing, baking or drying. Just lift the case frame, press the paw into the mold material and you are done!